But which player gets the biggest bang for its buck? With the holiday travel planning beginning to sneak up on people, Strike Social ran its competitive analysis system against all of the digital booking players to see which brands spent more than others on YouTube in the past year. It determined that the travel category on the uber-popular video platform is essentially a two-horse race between Travelocity and Expedia. So below is the YouTube-based data and information it shared with Adweek, pitting Travelocity versus Expedia for the last 12 months. Neither brand has worked with Strike Social as a client, to be clear. 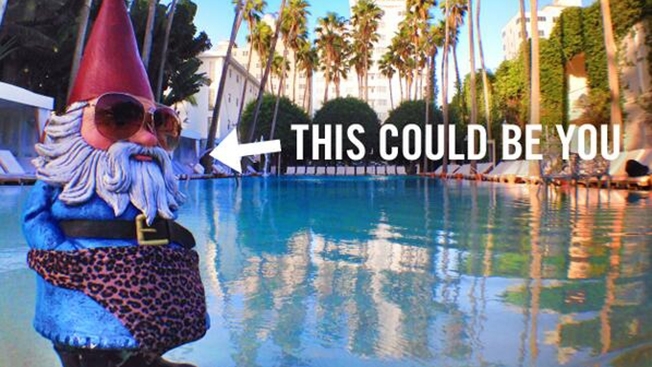 Travelocity spent an estimated $235,000 to Expedia's $26,000, more than a 9-to-1 difference. And when it came to total views, Southlake, Texas-based Travelocity triumphed with 2.5 million compared to Expedia's 2.3 million. Yet Expedia nabbed almost the same number of total views thanks to its organic strategy. The Bellevue, Wash.-based company had 1.7 million earned views, while Travelocity garnered 29,000. Additionally, Expedia grabbed seven of the top 10 travel videos on YouTube. Therefore, Expedia seemed to have gotten the biggest bang for its buck by a good margin. And during the last quarter (Q2), the company reported a 24 percent year-on-year jump in revenue, hitting $1.5 billion. Meanwhile, Travelocity parent Sabre Corp. reported single-digit revenue growth for the travel category. Here's how Strike Social, a Los Angeles-based startup, arrives at its spend numbers. A certified YouTube/Google data partner, Strike Social says it employs an algorithm to parse the number of views born of paid ads from organic/non-paid views. Then it multiples the paid views by the industry cost-per-view average to estimate spend per video. The system was developed in conjunction with the Data Science Department at the University of Southern California to gauge online video spending. For this report, Strike Social also examined data for Hotels.com, Priceline, Orbitz and Kayak but found their paid activity on YouTube to be minor.